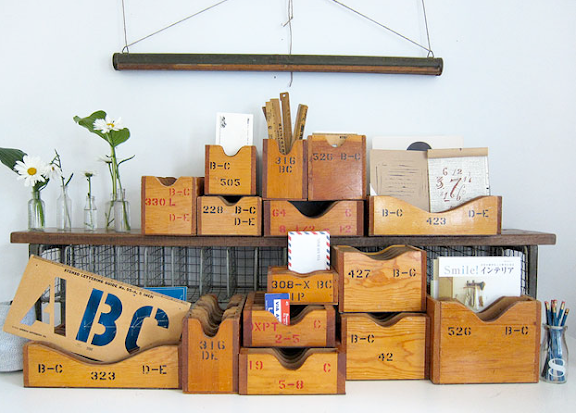 Organization has never been so charming - vintage shoe factory storage boxes. wonderful. i've been using old apple crates. very cool. I'm really loving industrial chic in the home. Thanks for featuring.